This is an odd book, an odd reading experience, a book about a book but a book about a book that doesn’t really - and never will - exist. It’s slow to start, too. After rather too many pages describing the author’s procrastination this book finally gets going on page... or, you think it does. Then you slowly begin to realise the entire book about procrastination - not doing something: specifically, not writing a book about D.H.Lawrence. 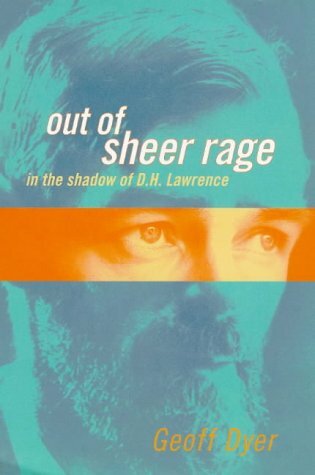 But then, slowly, a book on Lawrence emerges even as Dyer continues to protest that it isn’t being written. And of course Dyer can write a non-book for the same reason he can deride Oxford (Dullford as he calls it) quite simply because he’s already ‘been there, done that’. The denial of something (as he himself says) is part of assenting to it. Then there’s the aspiration to elevate the note-taking style of the book to the level of Uber-art: placing Lawrence’s notes and letters on a higher plane than crafted prose or poems, which Dyer demonstrates by adopting a haphazard, note-taking style in his own prose. So by the end a book on Lawrence is written and a clever and entertaining book at that. The artifice - the conceit - is that it’s written in spite of the author’s efforts. All of which seems just a little too clever by half. ‘Lawrence is at his best when he is recording his fleeting moods and impressions without trying to fit them into any design...’ p137. Dyer, perhaps, isn’t at his best trying the same trick. Though it’s a neat trick: a book about Lawrence written as a book trying to be written about Lawrence or even a book about Lawrence determinedly not getting written. Sign into Goodreads to see if any of your friends have read Out of Sheer Rage.